Expecting a sermon on the evils of cosmetic products, and the virtues of virtues? Keep dreaming. This is The Lipstick Page Forums Beauty & Fashion Blog; our mission is to keep you looking, feeling and smelling simply gorgeous all the way. 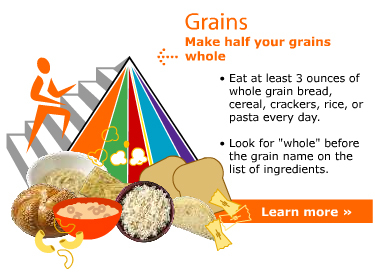 Unless you make a special effort to eat whole grains, all of the grains you eat are going to be refined. It's cheaper to produce foods using refined grains, since removing the "germ" keeps the grains from spoiling, much much longer. Furthermore, white flour and white rice have been symbols of elevated social status since forever. Rich folks ate white bread and white sugar. Poor folks didn't. But that was then. People in those days did not have the sheer mass of food choices we do now. Refined grains won't make you fat per se, but they don't have much fiber, and everyone needs it. Fruits and vegetables contain fiber, but it's hard to beat whole grains for this. Weetabix is really good, and the Queen of England eats it too. I didn't try it for years, since I had the impression it was basically a more expensive form of shredded wheat. But it's a flaky whole wheat biscuit thing. 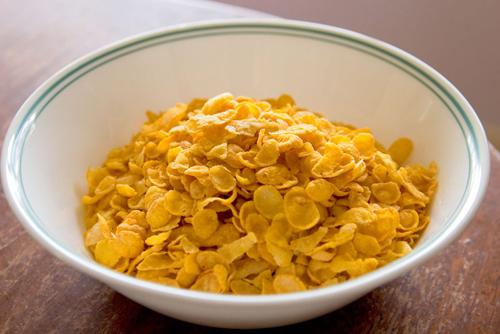 You need not eat it solo; you may combine it with other cereals to add a painless boost of fiber. 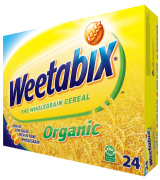 Weetabix "insiders tip": place the biscuit on top of your other cereals, otherwise it'll get soggy as hell. Raisin Bran remains a superb source of fiber, even though today's versions tend to have too many raisins--never thought I'd say that, as the old ones didn't have enough! 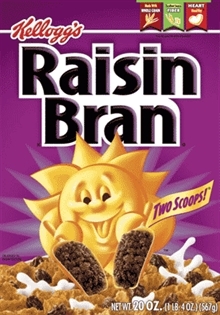 There are many brands of Raisin Bran to choose from, and each store has their own brand, even Trader Joe's. This is more along the lines of soluble fiber, which is important in its own right, but the reason I included it here is that it's crunchy, round and fun. 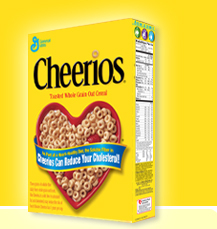 Everyone loves Cheerios, and there are many kinds of Cheerios, and Cheerios knockoffs...it's important to integrate something crisp, sweet and light-hearted into your routine. In conclusion...no matter how many beauty products you use throughout the day, do begin your day with something whole grain and healthy.